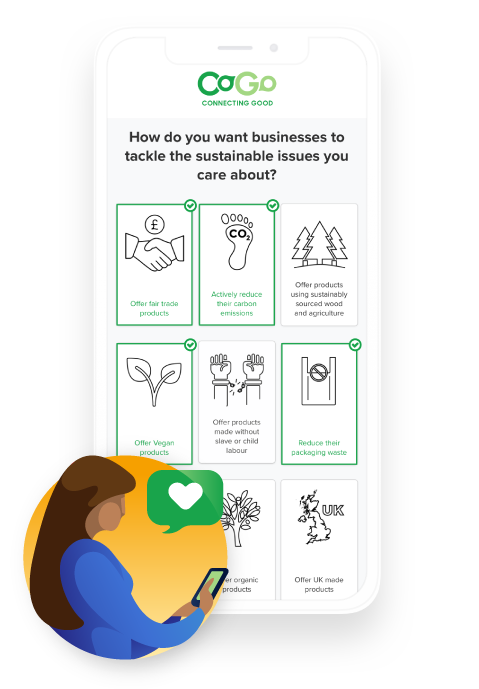 Join the movement by telling us who you are, where you shop and how you want businesses to tackle the sustainable and ethical issues you care about. By adding a payment card to CoGo, you send an anonymous signal to businesses every time you shop - showing them that consumers near them are looking for businesses with ethical and sustainable practices. Use the search tool to find businesses nearby that are taking action on issues you care about. 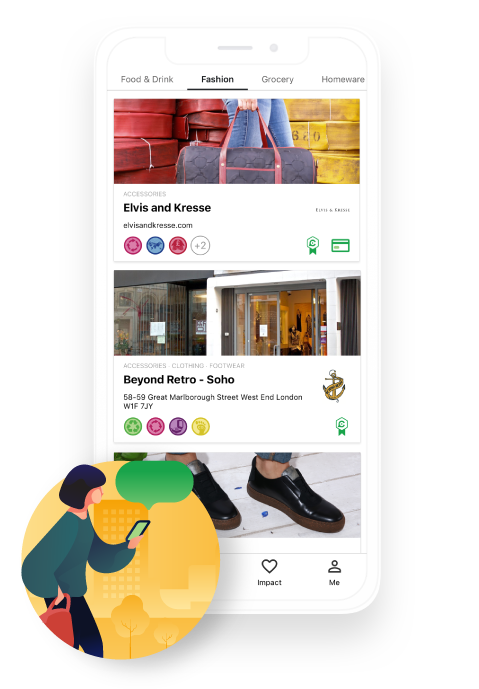 Whether you’re looking for a quick bite or a new hairdresser, you can search for an ethical alternative on CoGo. The best part? You can trust the claims of everyone on the platform as we complete thorough checks on all CoGo accredited businesses. Your voice can make a difference to how businesses operate and our innovative technology lets you see how. 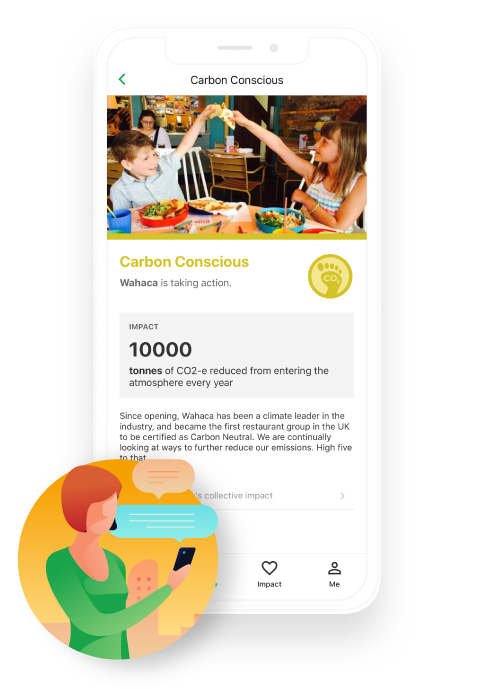 See the good work the CoGo community is already doing, and get updates every time a business adopts a new way of tackling the issues you care about. "But wait, what happens to my information?" Saving the world one practice change at a time is AWESOME, but our top priority is ensuring your details remain safe and secure! CoGo’s clever technology links the issues you care about to your payment cards, so you can send an anonymous signal to businesses every time you shop and see how your spending is contributing to good. ✓ We don't share. Your personal details are never shared with the businesses on our platform. ✓ You can't be identified. A business is only shown collective data of their registered consumers. ✓ CoGo’s free for consumers. Your payment cards will never be charged. ✓ Your card details are locked down. We link your payment card securely, through Fidel. We take the protection of your data seriously. Have a read of our Privacy Notice for more information.